MyParking - Get Permits Now! Illinois Tech Students, Faculty & Staff, VanderCook & Affiliates, and Tenants are encouraged to review their respective parking web pages to understand permit options. Permits can be purchased online for immediate use via MyParking. You can also search and pay for parking citations. Parking citations must be paid or appealed to purchase a new permit. Visitor parking information is available here. 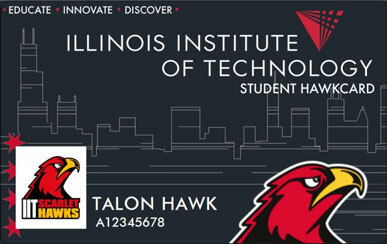 All vehicle owners parking on Illinois Tech property (except in designated visitor parking) must register their vehicles with the Access, Card, and Parking Services Office and obtain a parking permit. Parking lots are designated for students, faculty, staff, or visitors. Vehicles violating these restrictions or other parking regulations may be ticketed or towed. No-parking regulations in fire lanes will be strictly enforced. A copy of the Illinois Tech regulations governing parking may be obtained from the Access, Card, and Parking Services Office or online at web.iit.edu/acaps/parking/parking-policy. For added security for vehicles, personal possessions should not be left in view. Valuables should be placed in the trunk and all doors should be locked. Discounted parking is available to Illinois Tech faculty, staff, and students at certain parking facilities in the vicinity of the Downtown Campus. Parking stickers are necessary in order to receive the discounts. These discounts are coordinated by the Office of Administration and Finance, Downtown Campus, Suite 265. Online information is available here.